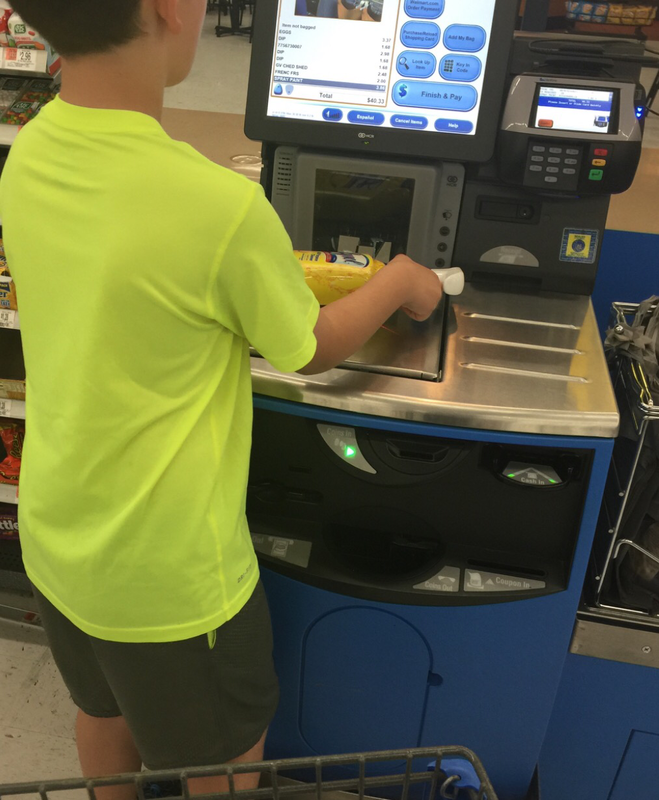 I instructed my children to put the item in the bag and explained each item was weighed to make sure we didn’t steal. My daughter got defensive and said loudly, “We aren’t stealing!” I’m surprised security didn’t come running. 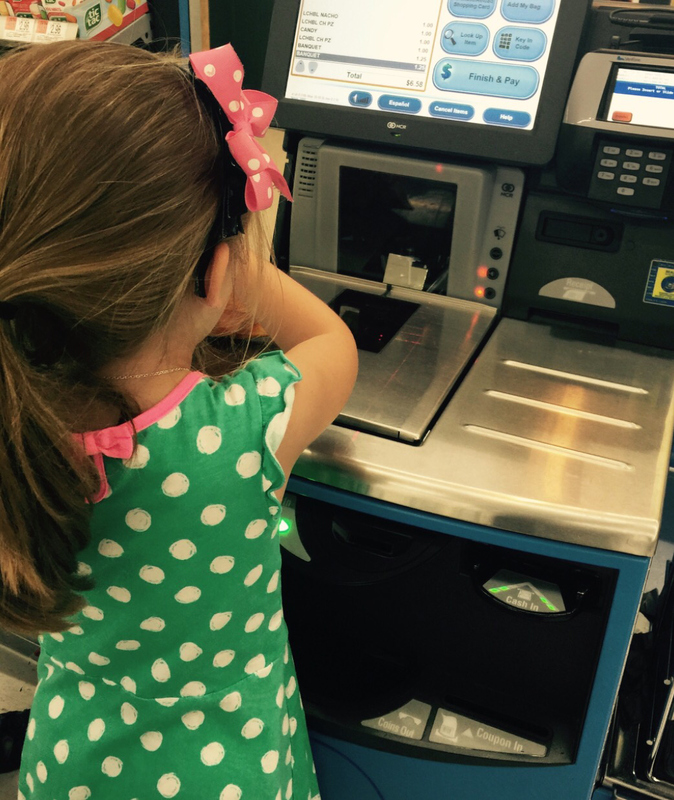 My daughter was talking about a crime and I was arguing with the machine. “It’s in there!” All that was missing was a straitjacket.